Speak Life: An Open Mic Event! 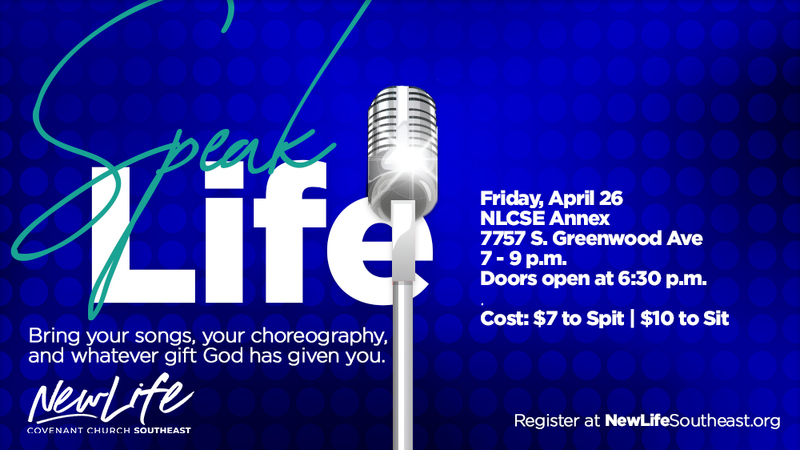 Join us for “Speak Life” on Friday, April 26 at NLCSE Annex, 7752 S. Greenwood Avenue from 7 to 9 p.m. where the Grand Crossing community can come out and enjoy an open mic night. Bring your songs, your choreography, and whatever gift God has given you. No foul language please, but you are NOT required to be "churchy". Doors open at 6:30 p.m., and tickets will be available in the lobby. Cost: $7 to spit and $10 to sit. See y'all on the 26th!